Lauren Abedini, aka Kittens, will play at Coachella after working with Usher. While thousands of people dream of attending the Coachella Valley Music and Arts Festival, Diamond Bar High School class of 2007 alumna managed to take it one step further. Lauren Abedini was recently booked to perform as a DJ at the April festival, where she will be playing music on the same stage as big name music stars. 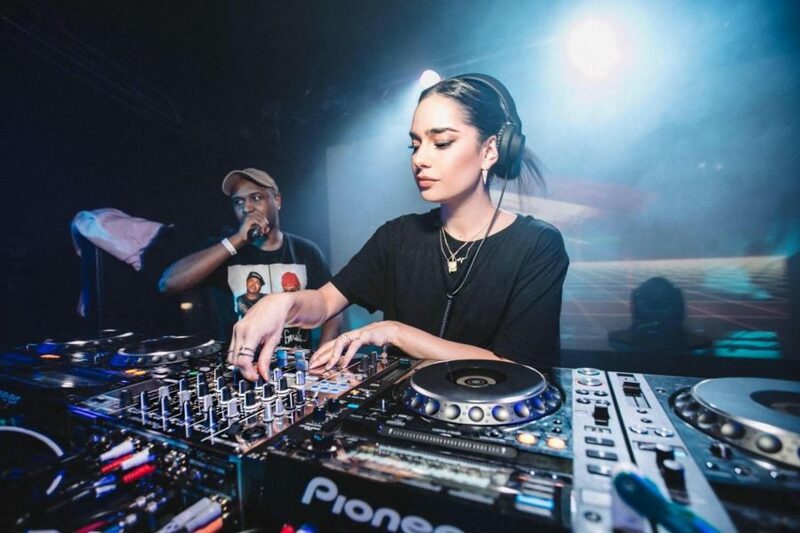 Known as DJ Kittens, Abedini has established herself as an emerging DJ whose talent has been recognized by top musical artists such as Usher—an eight time Grammy winning R&B star—and Kid Cudi. Her recent booking at Coachella will place her on the same stage as stars like Beyonce, David Byrne and Post Malone. As a woman in the male dominated DJ industry, Abedini recalls the challenges she faced with sexism—everything from being mistaken as a fan trying to get backstage and being disrespected to others constantly discrediting her for her success—during her career. “You have to work twice as hard and be twice as good for people to even consider you a real DJ,” Abedini said via email. Abedini’s experience struggling in the industry led her to establish PWR with Kittens, a series of female only DJ workshops, in which she covers everything from basic DJ skills to advice on facing the challenges of working in the industry as a woman. “I just want to empower and educate people who feel like they can’t do something because society has told them for so long they don’t belong there,” Abedini said. Abedini’s first exposure to the world of disk jockeying was in high school when she would sneak into clubs to dance and listen to music. In particular, she remembers the Low End Theory club in Los Angeles as a particular moment when the DJs’ music inspired her to take up disk jockeying herself. “I would go there all the time and was just in awe of the types of music I was hearing and the way that DJ’s were so creatively weaving together such different sounds [and] making something completely new,” Abedini said. In 2011, after deciding to take the jump to becoming a real DJ, Abedini bought her first turntable and started off learning basic DJ skills from her friends involved in the skill. However, she spent the majority of her time experimenting with the music through trial and error. Abedini first met Usher, who now acts as her mentor, at the South by Southwest Music Festival where she was performing with Kid Cudi as the DJ for his tour. After the show, Usher invited her to perform for Jermaine Dupri, a hip hop record executive, and himself at their studio, and offered his support for her growing DJ career. Having came out as a lesbian during high school, Abedini found a supportive community at DBHS as a member of the Gay Straight Alliance. She was also a member of Varsity Song and French Club, and remembers French teacher, Tony Tietz, as her favorite teacher. “He always incorporated music and relatable fun stuff into how we learned, which has stuck with me all these years,” Abedini said. After graduating from DBHS, Abedini decided to attend Cal State Fullerton as a business major with an emphasis in marketing. Now, being named by Mixmag and The Hundreds as a “Rising Producer/DJ Shaping the LA Club Scene,” and Source Magazine’s “25 Women to Watch” as well as having nearly 100,000 followers on Instagram, Abedini describes one of the most important aspects to being a successful DJ is more than just the music. “You have to be able to feel the energy [of the room] and know how to work with it,” Abedini said.